Discover the apartment of your dreams at The Waterford at Summer Park. 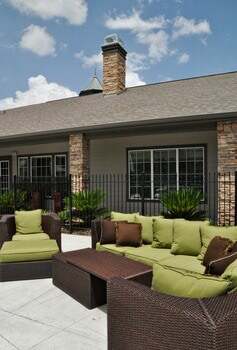 Our apartments in Rosenberg, Texas, offer all the amenities you will need and more for a convenient and affordable rate. We are located just minutes from Highway 59 and Grand Parkway in a clean, picturesque community. Our neighborhood is host to many great schools that are part of the Lamar Consolidated Independent School District. For fun, residents have easy access to George Ranch Historical Park and a selection of our finest lakes. The Brazos Town Center is also just minutes away with plenty to do. Shop at stores like Target and Marshalls, dine at Shogun Grill and Sushi Bar, or catch a movie at Cinemark Rosenberg 12. The Brazos Town Center has all that and more to keep you entertained. Our apartments for rent in Rosenberg, TX might just be what you are looking for. Call us now to hear about our flexible lease options and pet policy. Moving into a new apartment can be distressing, but the on-site management and maintenance team are here to help you get comfortable and cozy without having to worry about all the little things. Stop by the Waterford at Summer Park apartments in Rosenberg today, and you’ll find a place where great living and shopping are only minutes away.